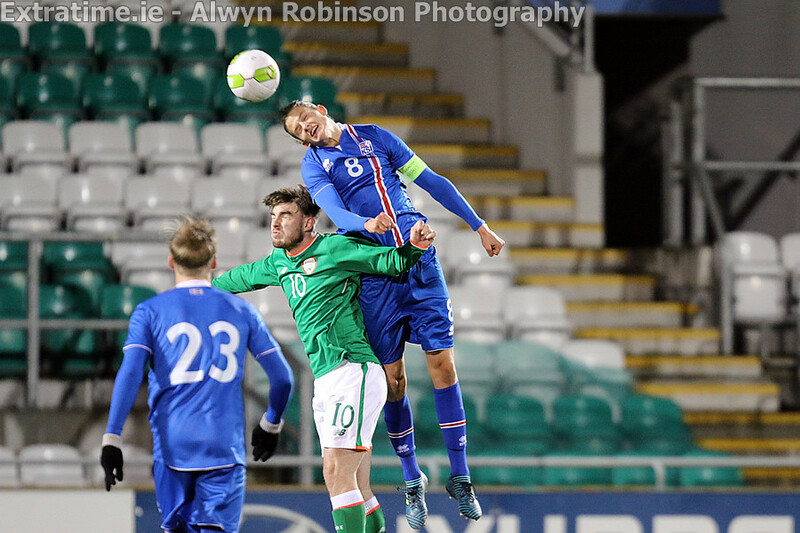 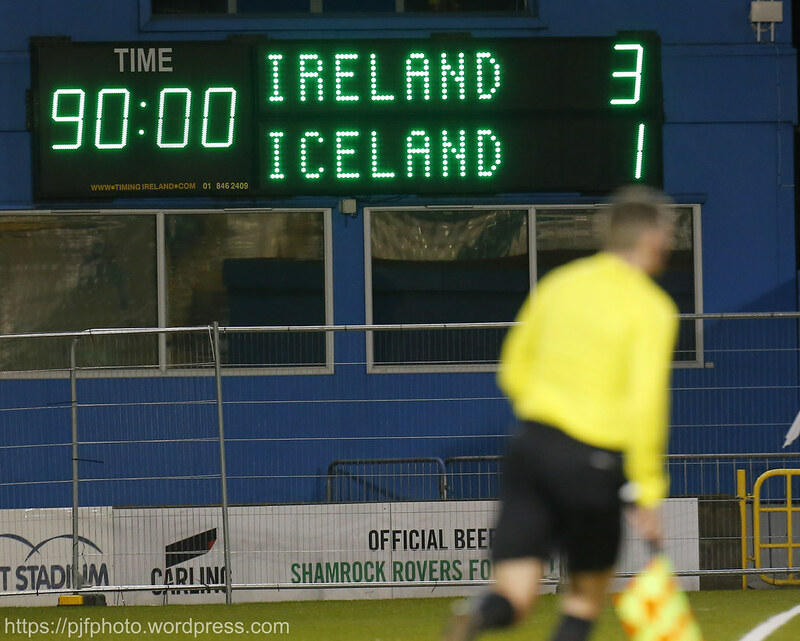 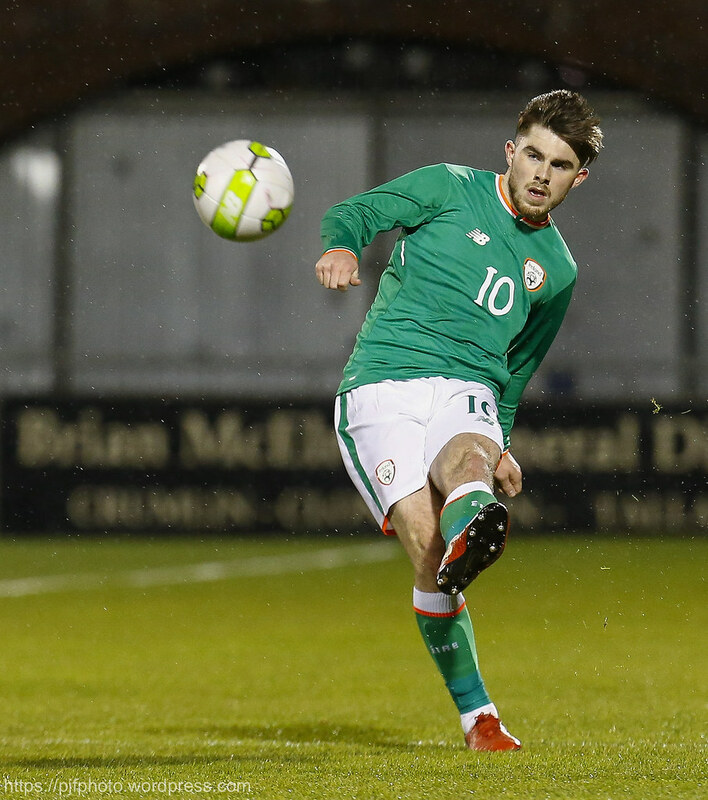 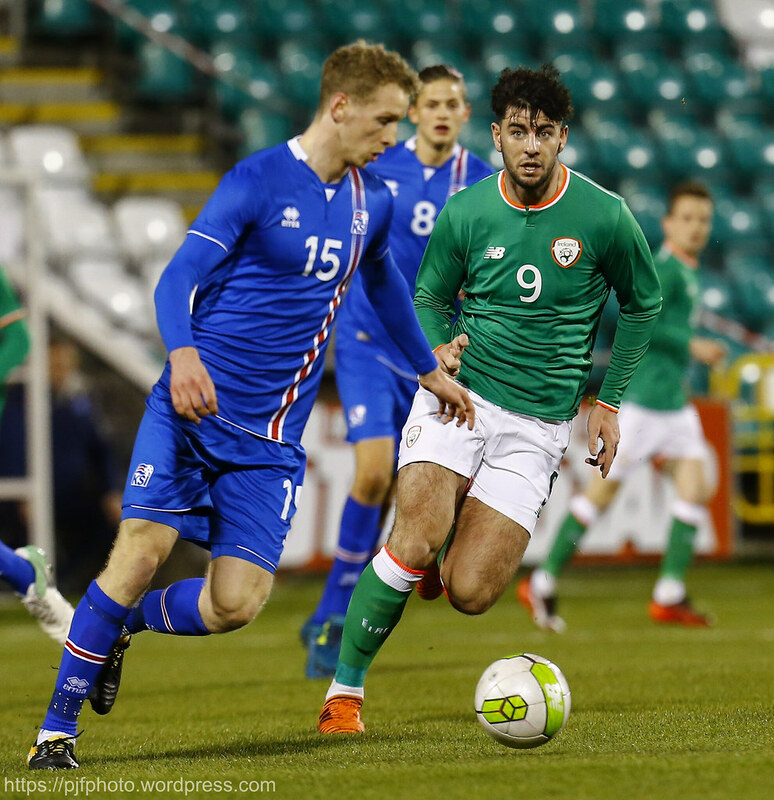 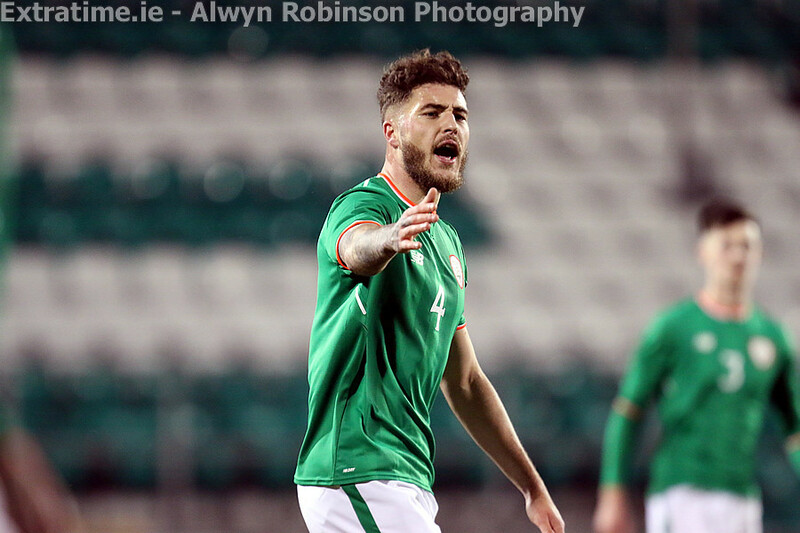 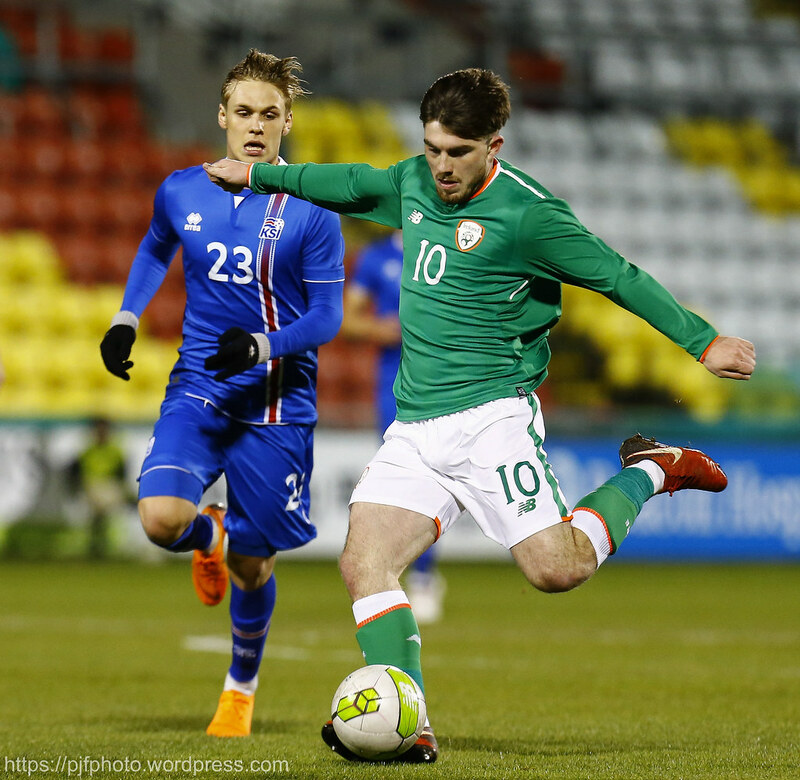 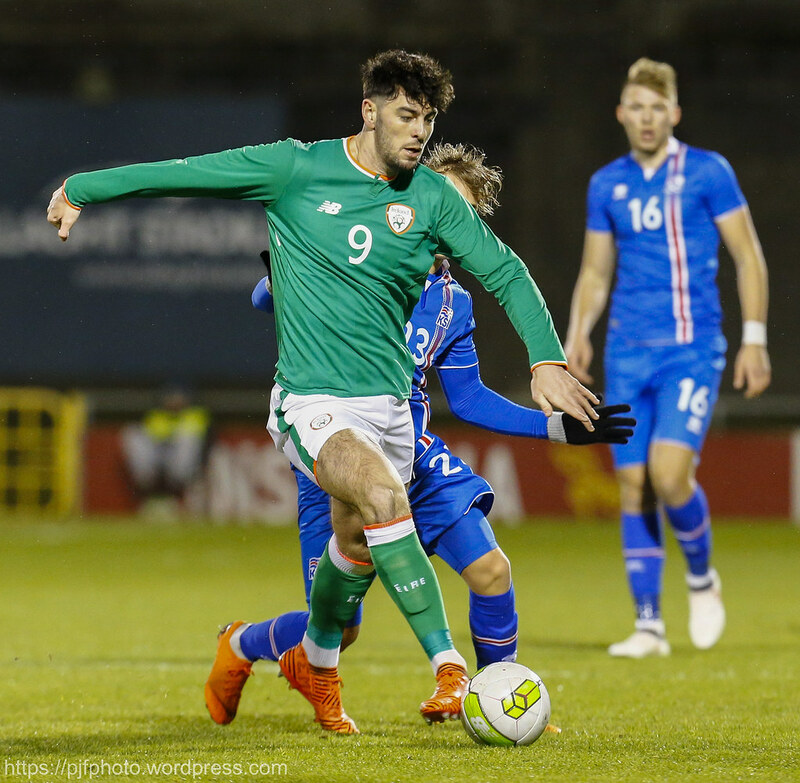 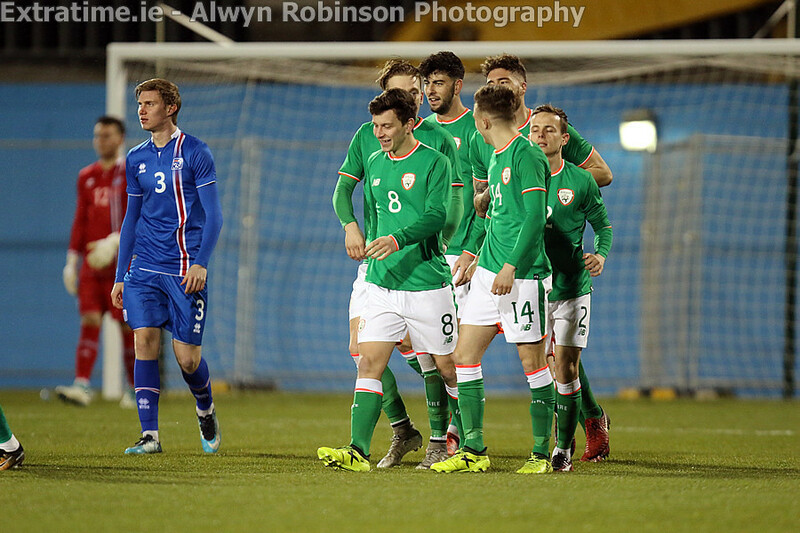 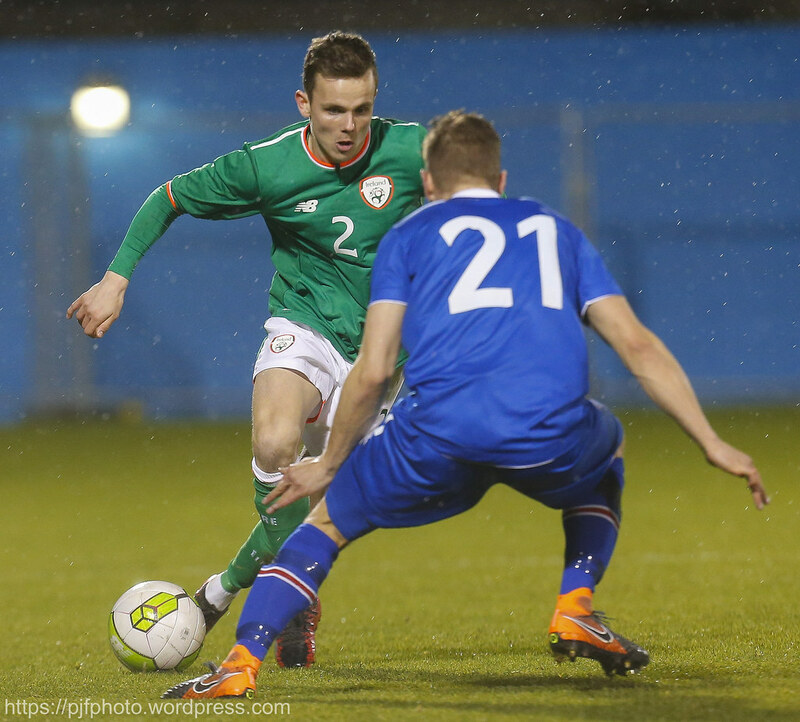 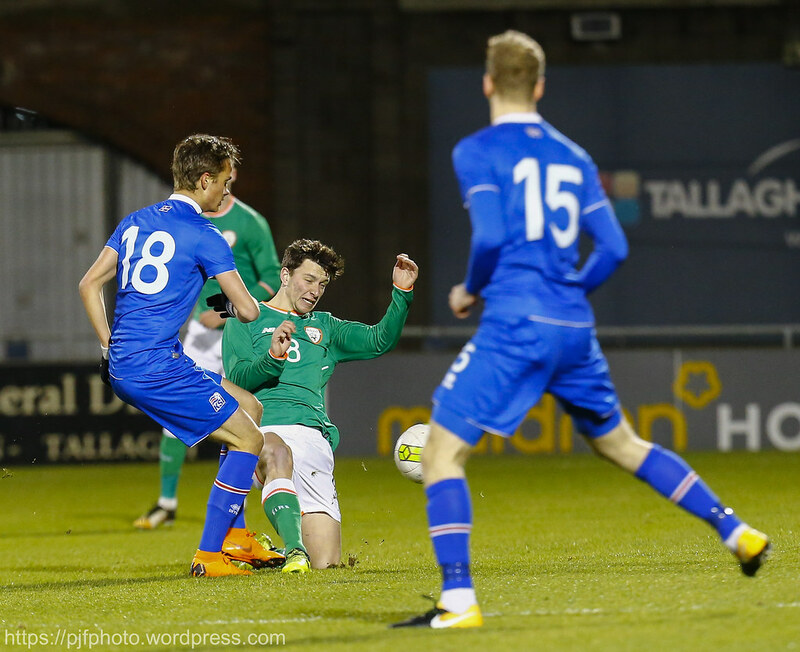 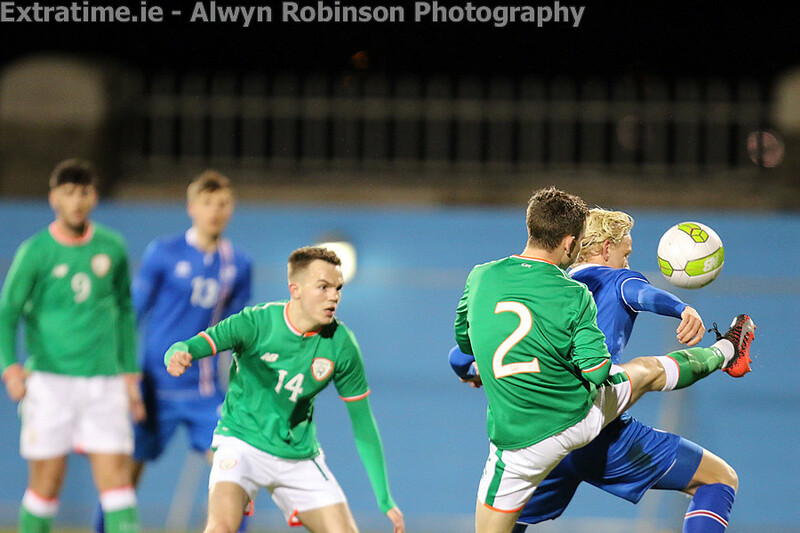 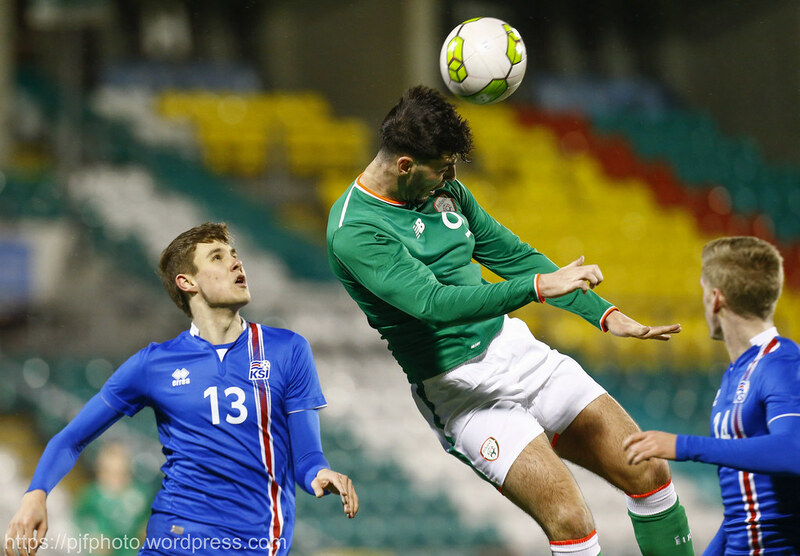 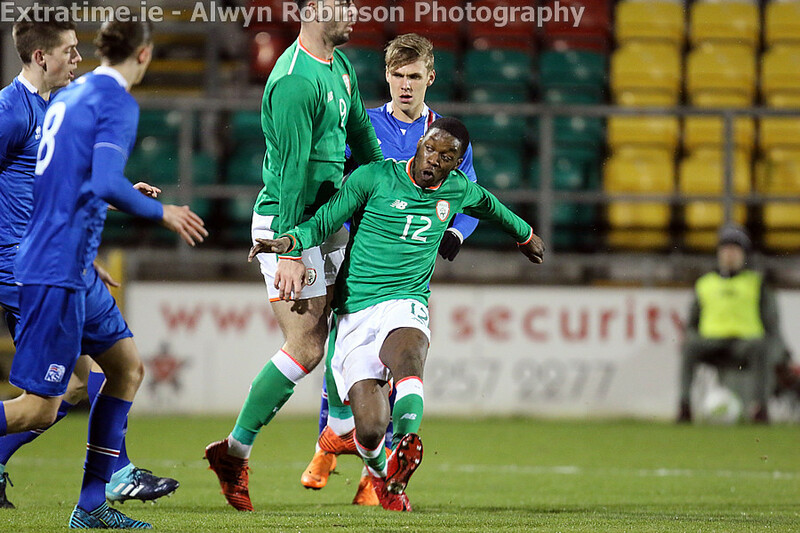 Ireland warmed up nicely against Iceland in Tallaght Stadium on Thursday night ahead of their crucial European qualifier on Tuesday with dream debuts for Derry City pair Ronan and Rory Hale and a man of the match performance from Ronan Curtis to cap of a fine evening for the Boys in Green. 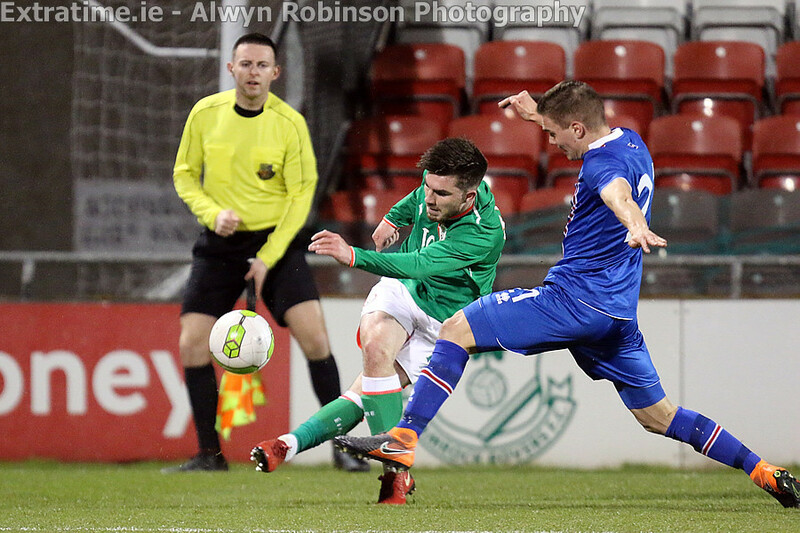 It didn’t take long for the opening goal, 14 seconds in fact as Derry City forward Rory Hale was left on his own in the box for an easy tap in after some neat link up play down the left from the kick off between Ronan Curtis and Joe Quigley. 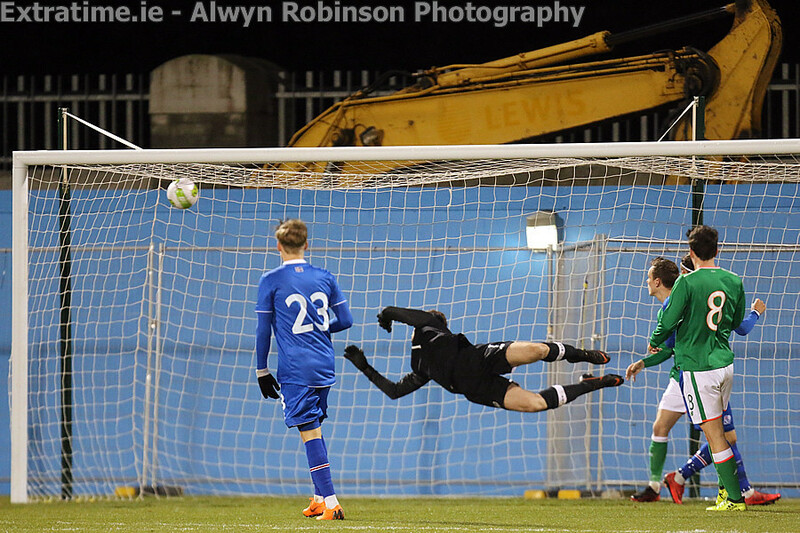 Curtis lofting the ball into the box for Quigley who headed down into the path of Hale who put the home side in front. 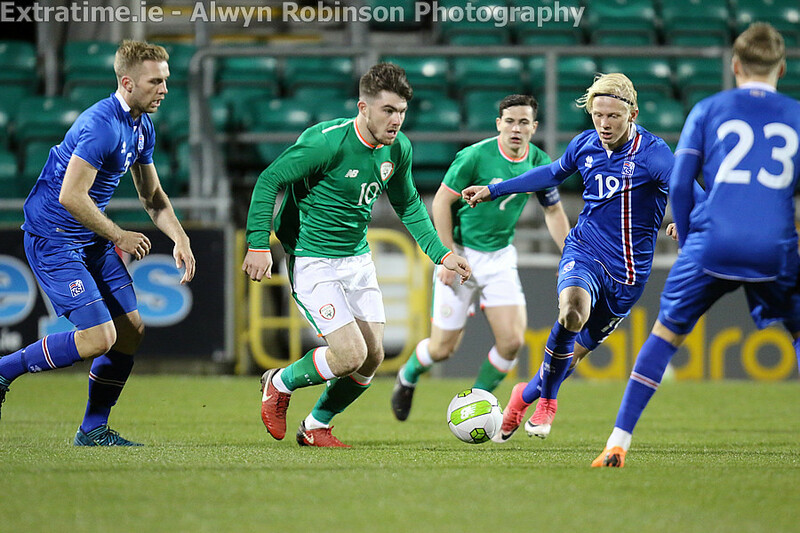 Both sides settled down after the early goal with Iceland’s first chance of the game coming after eleven minutes when a corner from Krisinsson blew straight in towards the goal forcing Bossin to play it safe and tip the ball out for another corner. 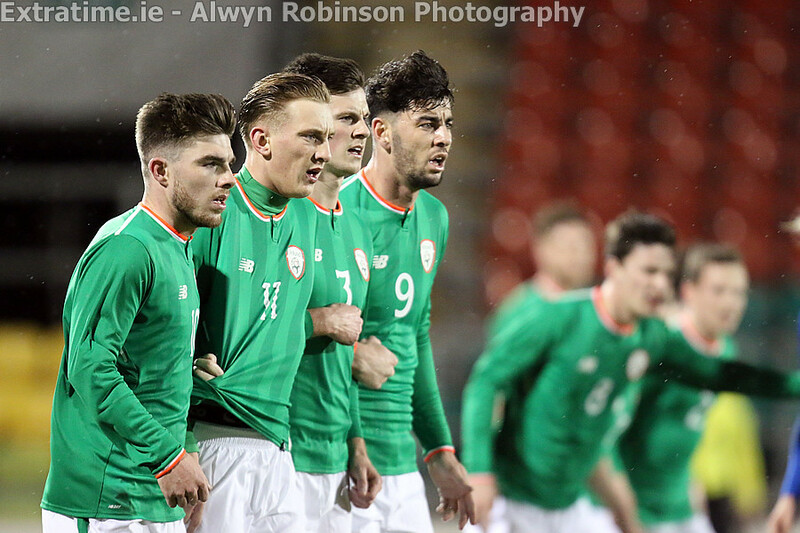 There were quite a few new faces in the Irish side and they settled into the game well, enjoying large spells of possession in the opening half but it was all around midfield. 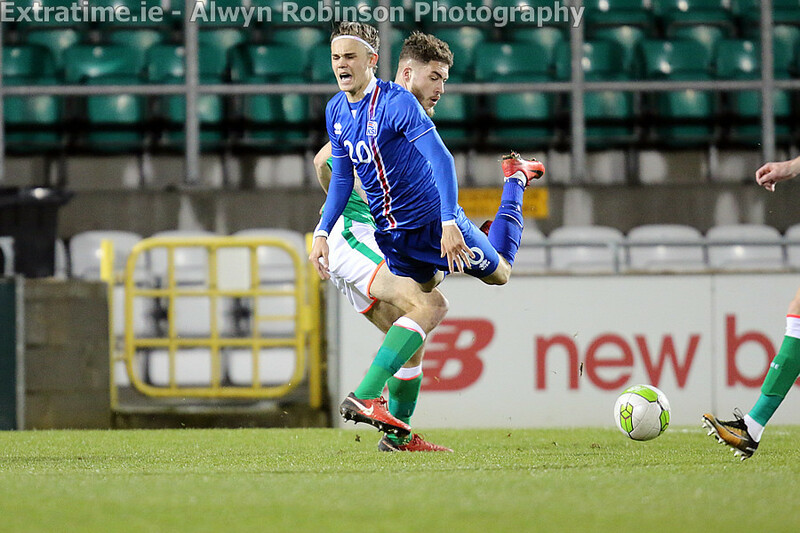 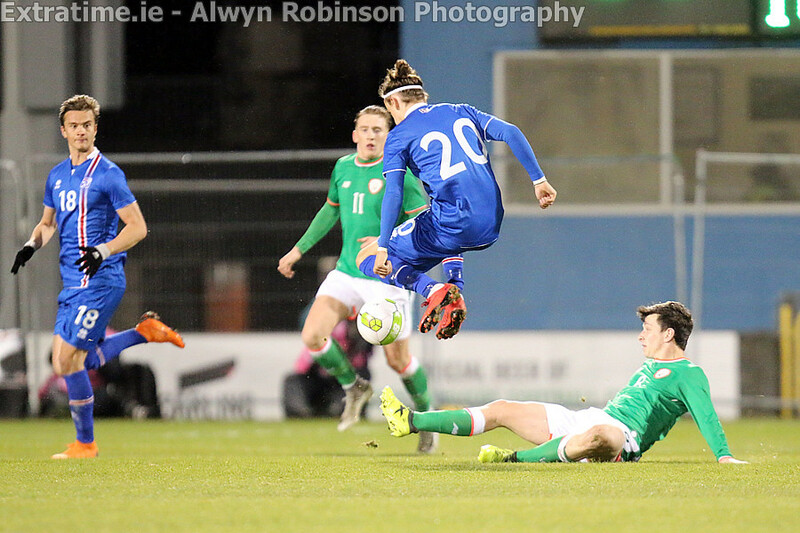 On the half hour mark Icelandic left back Fridriksso found himself all alone on the edge of the Irish box and hit a powerful shot towards goal but it was rising from the moment it left his foot and flew just over the crossbar. 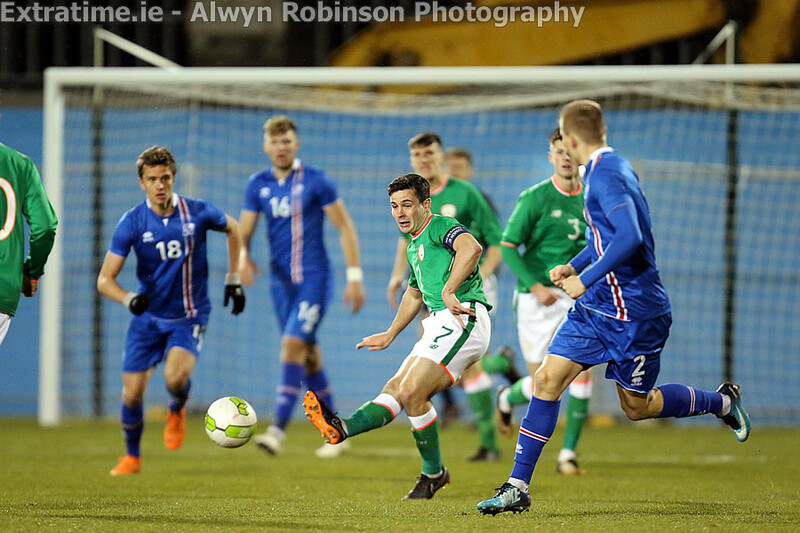 Josh Cullen and Ryan Manning had chances of their own as the first half drew to a close, Cullen blazing a wild shot over the bar from a Danny Kane pass and Ryan Manning testing the Iceland goalkeeper from a free kick. 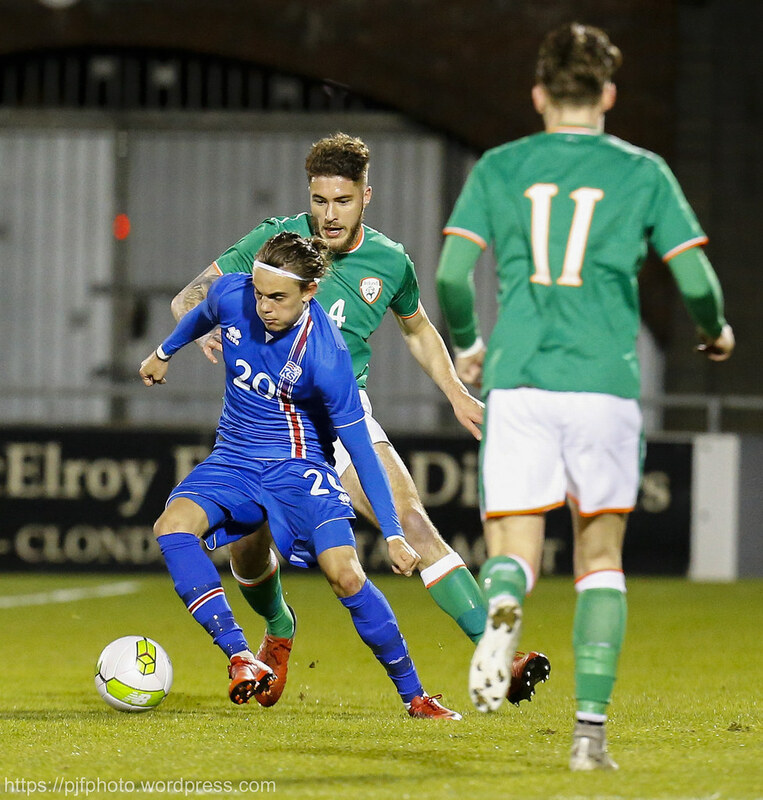 The Boys in Green were two in front on 40 minutes courtesy of Manning who got the better of Fridriksson on this occasion with Curtis once again involved in the build-up. 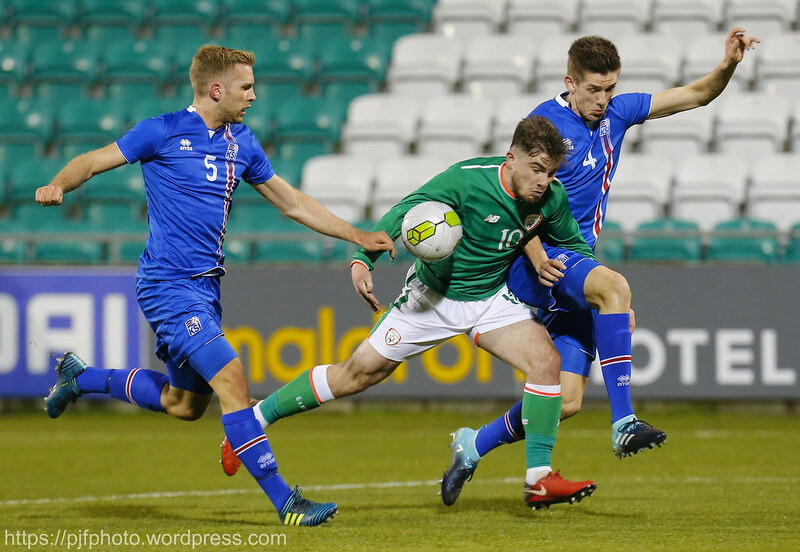 Curtis, capitalising on some very loose possession by Iceland in midfield before teeing up Manning who put Ireland two goals to the good with a calm finish. 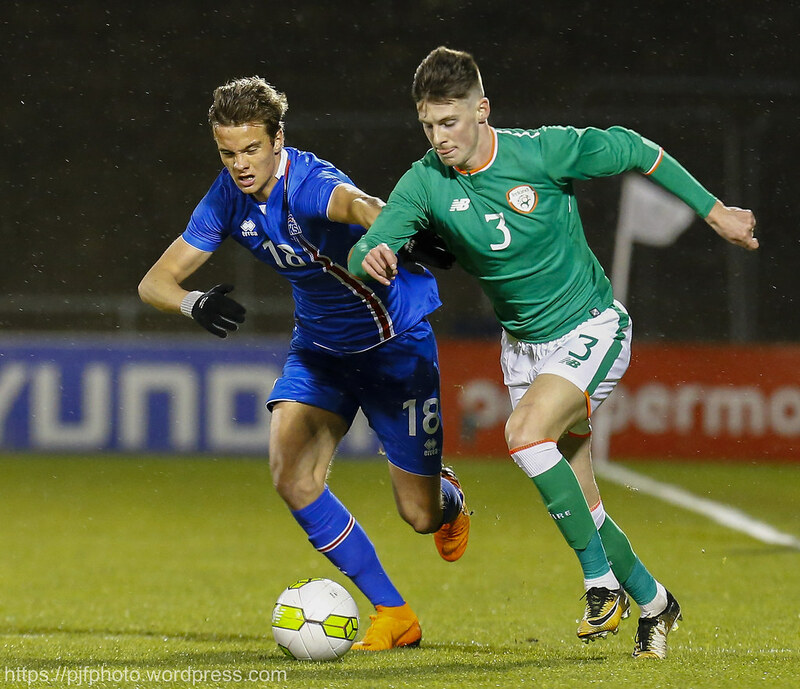 The second half start was a mirror image of the first in terms of an Ireland chance with Ronan Curtis going close within seconds of the half starting. 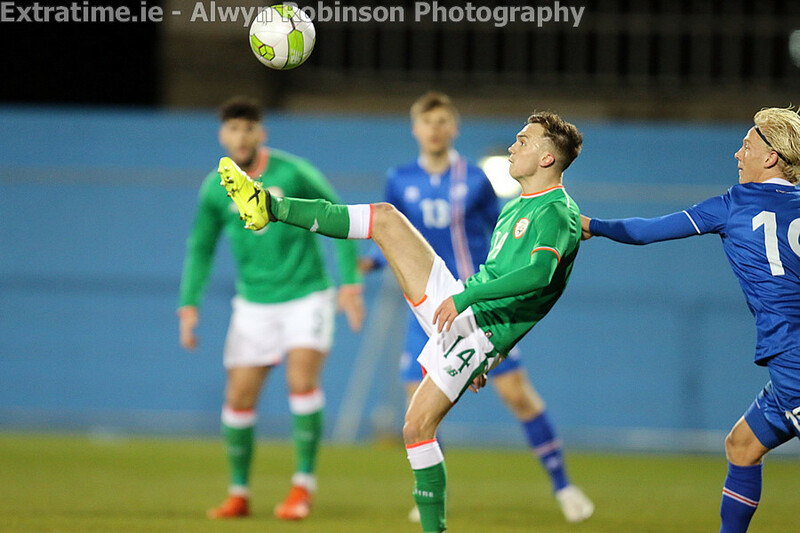 Curtis came in from the left wing before hitting an ambitious shot from just inside the box which deflected off Shodipo and just wide of the post. 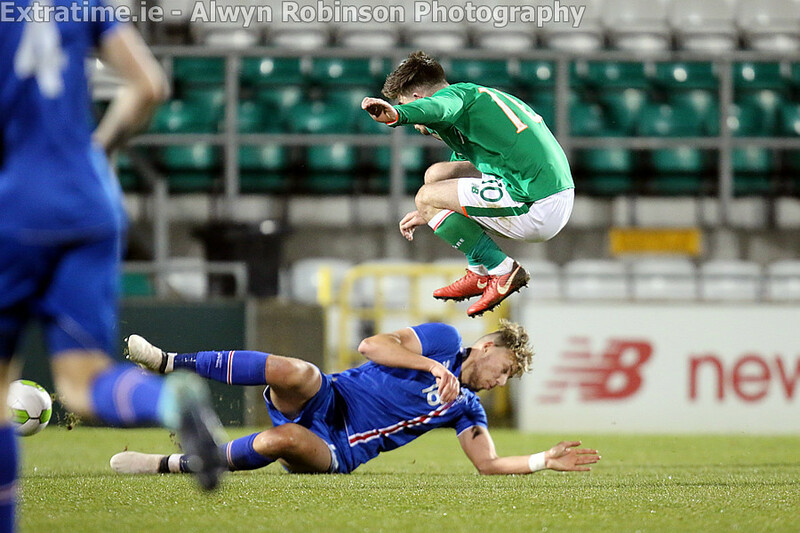 Ljubicic pulled a goal back for the away side just after the hour mark and against the run of play with a looping header past everyone in defence and straight past Bossin in the goal as well to give Iceland a lifeline as the game entered the final half hour. 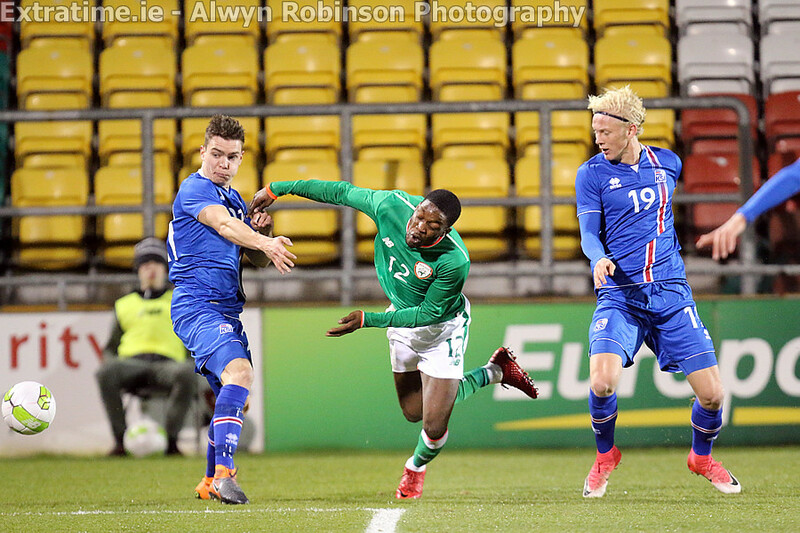 Iceland pushed hard for an equaliser with Tryggvason lively in the second half down the right, drilling a ball across the box but there was no one to get on the end of it and shortly after Tryggvason had a chance of his own with Fridriksso playing a through ball ahead to Tryggvason at the near post but Bossin had it covered. 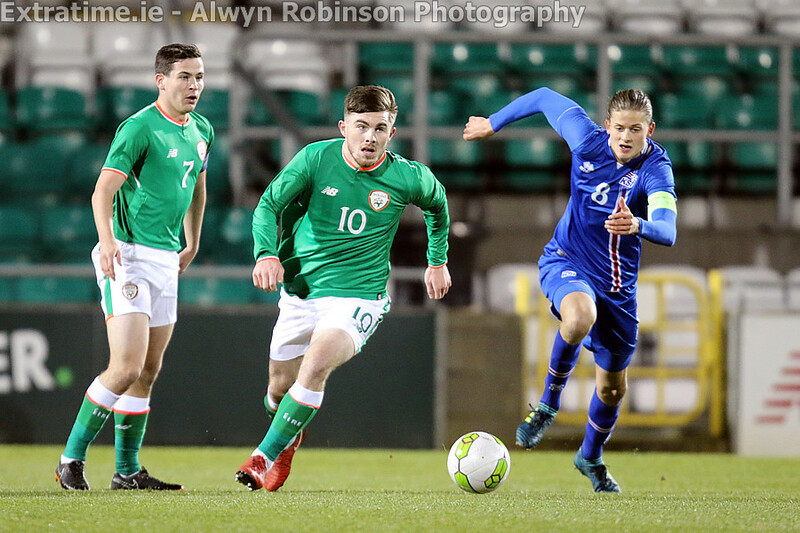 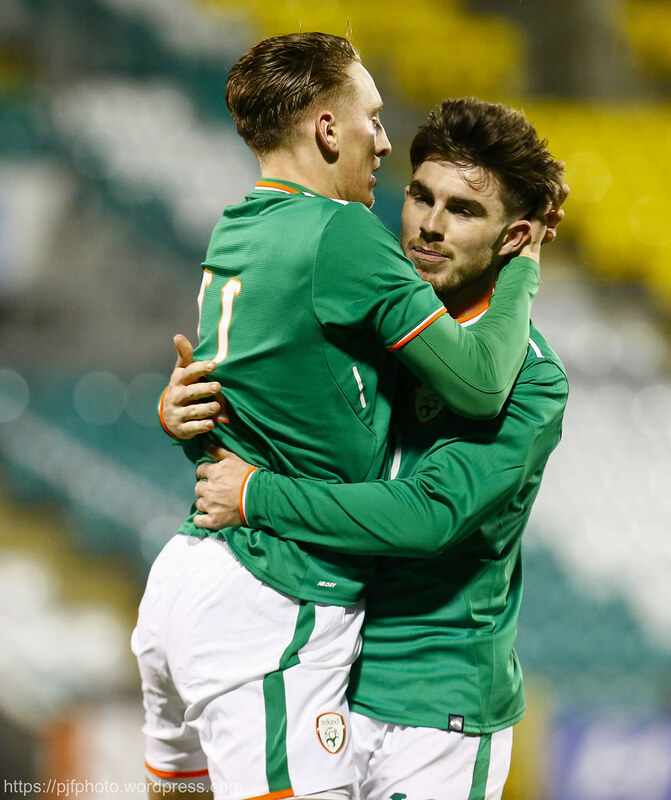 Ireland got their third of the evening and ensured the win on the night with the second Hale brother and Derry City player Ronan getting on the scoresheet with a composed chip over Fridriksson who had come well out of his box to clear his lines but scuffed it straight to Hale who duly obliged with Ireland’s final goal of the night. 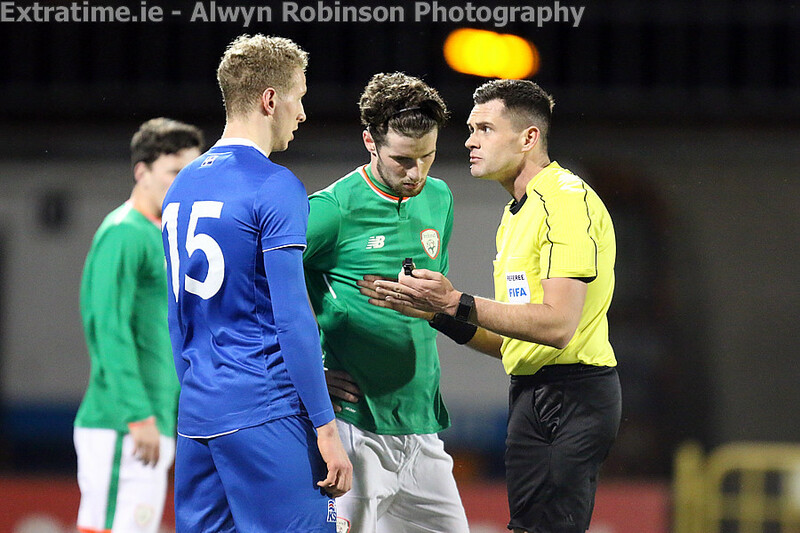 That was to be the last piece of action on the night with a confident performance on the night by Ireland ahead of their crucial European qualifier on Tuesday night against Azerbaijan. 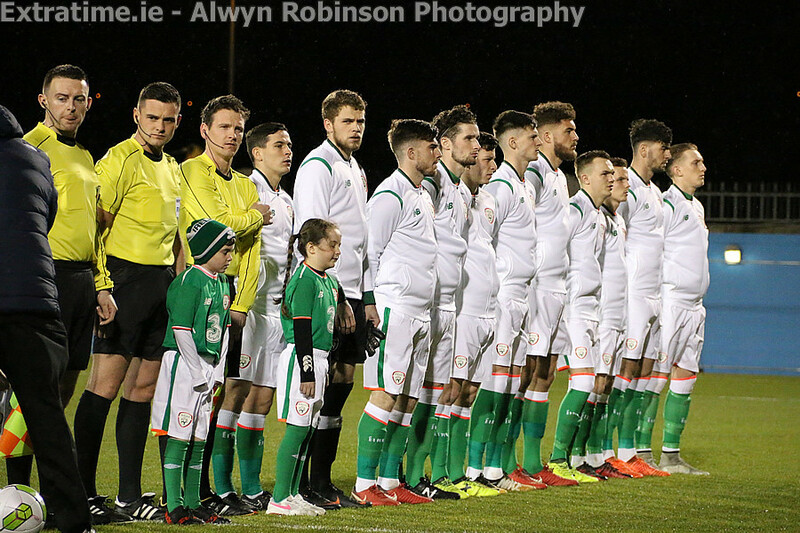 Ireland: Liam Bossin, Liam Kinsella, Danny Kane (Jake Doyle Hayes 86), Ryan Sweeney (Ryan Delaney 45), Corey Whelan (James Dunne 73), Connor Dimaio, Josh Cullen, Ryan Manning, , Joe Quigley (Ronan Hale 64), Ronan Curtis, Rory Hale (Olamide Shopido 46). 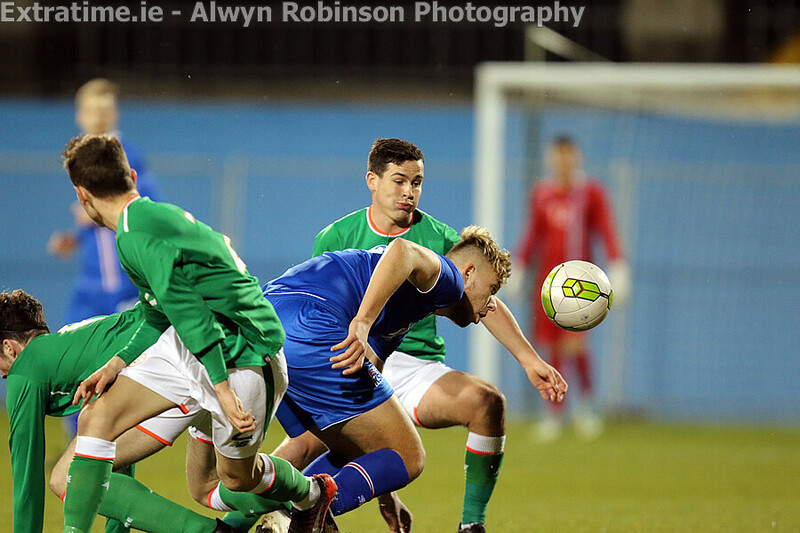 Subs not used: Caoimhin Kelleher. 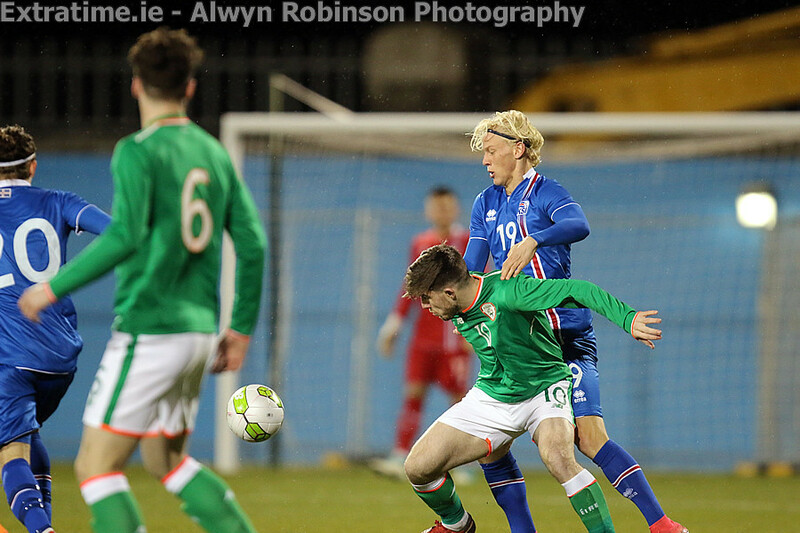 Iceland: Aron Snear Fridriksson, Felix Orn Fridriksso, Gretar Snear Gunnarsson, Ari Leifsson, Aron Mar Brynjarsson, Orri Sveinn Stefansson, Stefan Alexander Ljubicic, Kristofer Ingi Kristinsson (Mikael Neville Anderson 71), Kolbeinn Birgir Finnsson (Julius Magnusson 73), Gudmundur Andri Tryggvason, Armor Sigurdsson (Tryggvi Hrafn Haraldsson 73). 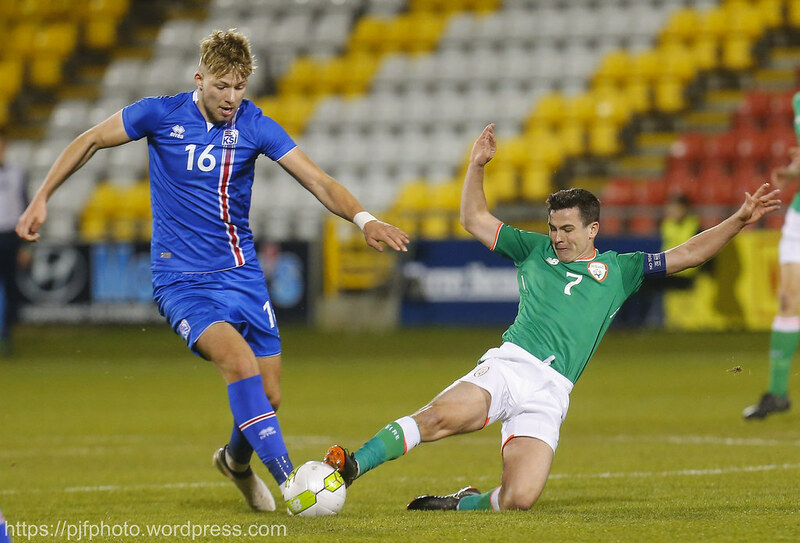 Subs not used: Olafsson, Sampsted, Viktor Gudmundsson, Timoteus Gunnarsson, Hrafn Haraldsson, Magnus Karlsson, Breki Asthorsson. 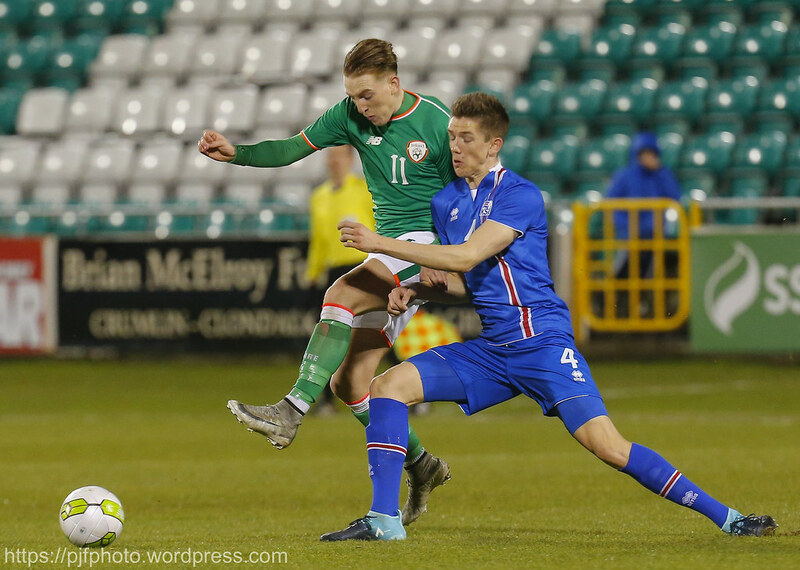 Extratime.ie Man of the Match: Ronan Curtis (Republic of Ireland).